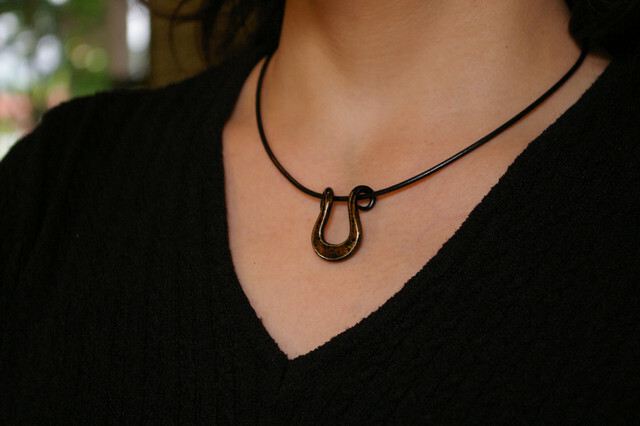 Bring happiness to your life with our new horseshoe necklace! 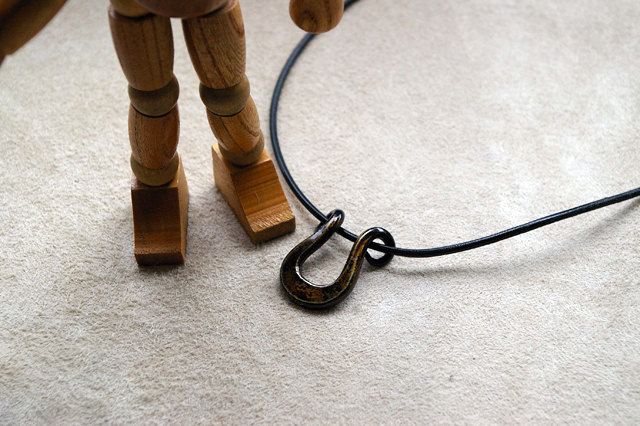 Hand crafted in Japan, this necklace with its horseshoe shaped charm is a symbol of luck and happiness. Different cultures have different beliefs about the horseshoe, all of which associate with luck. In Japan, the shape of the horseshoe is a symbol for road safety; it is also believed that the horse will attract luck in the form of money. This horseshoe necklace is made of iron and finished with a layer of lacquer to give it a shiny look. 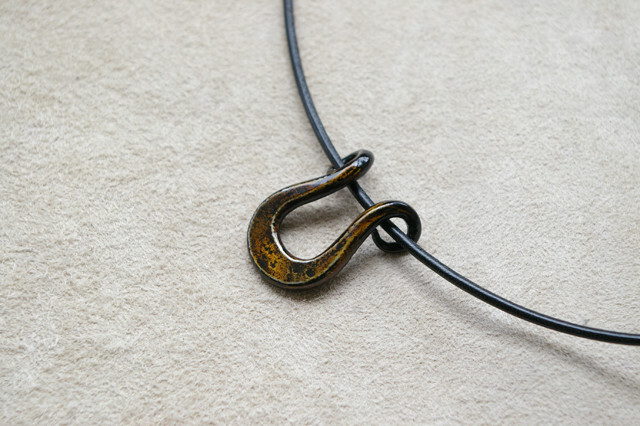 The theme of this piece is purity; the front of the horseshoe charm has a beautiful amber colored burnt like design, which makes it a one of a kind style. Perfect for accentuating your outfit or to give as a present for that special someone, this iron pendant is now available in our online store! Buy it now to bring happiness to your everyday life.